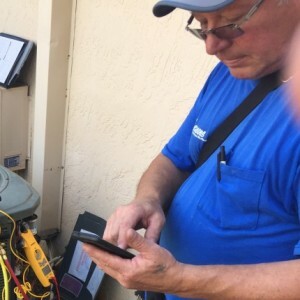 * Total number of reviews and star-ratings are based on data collected during the time period 4 Seasons Air Conditioning has been using the ReviewBuzz system and may not directly match the data found on each public review site. We recently purchased an older home in Orlando and are moving here from Texas. Decided to have the ac unit serviced before summer. Nick was our technician and I am so pleased with his knowledge and his patience to explain all the details. We will continue to use 4 Seasons air and I will request Nick on any other calls. He is a great asset to your company. We've used 4 Season since we bought our house 2 years ago. Got the contract and Nick comes out every 6 months to clean and service our unit. Does a great job every time. When repairs are needed, he always clearly explains what he is going to do and how it affects the system's operation. Overall, Nick gets 5 stars for being personable, professional and knowledgeable - everything one could ask for in an A/C technician. Nick was great, he arrived perfectly on time, explained things very clearly and was polite and courteous. A credit to the company. Thanks Nick! We used other companies in the past. 4 Seasons is consistent and reliable. Dan, Ken and Christie were all very professional and great to work with. Nick was here on time and did an excellent job. Ever since we started having our air unit serviced by 4Seasons our home is nice and cozy,and has never failed. Unfortunately we have had issues with our air not working properly since installed last year in July; however, I want to acknowledge the great customer service that was provided by technician Robert. He listened to my concerns and was able to provide information that reassured me the issues will be resolved. Thank you Robert for a great customer experience and see you on your next visit to us. Excellent service by competent and friendly technicians. Arrive on time, and clean up after themselves. I just LOVE this company! We have used them for over 15 years. They have installed 2 new Lennox units for us and we never had a problem. Fast forward....our builder installed 2 new Lennox units in our new house through another A/C company and they have been nothing but problems. We gave up with the other A/C company and 4 Seasons fixed all the problems that were really due to a POOR installation job. The employees at 4 Seasons have worked their for years! We have known Sean, Lynn and Tony for years. This company takes care of their customers! 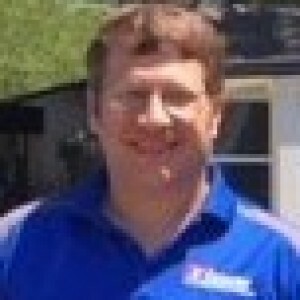 Terry has serviced our AC for years and always does a GREAT job. He also knows how to interface with people and inform you of any problems. He makes you feel like we are family. I have used Four Seasons both personally and professionally for many years and have never been disappointed! Lynne, Christie, Bobby, Terry, Dan, Jon - all of the staff members are great. I would highly recommend them. Its a well run company that is very good as what they do! Quick response and very professional work. Excellent firm. A cut above most of the HVAC companies out there. 4 Seasons Air Conditioning Heatin Team . Customer service is always a top priority at 4 Seasons Air Conditioning. Our BBB Membership rating is like a badge of honor as we continuously strive to provide the best experience for our clients.